Are you looking for physio led Pilates classes Eatons Hill? 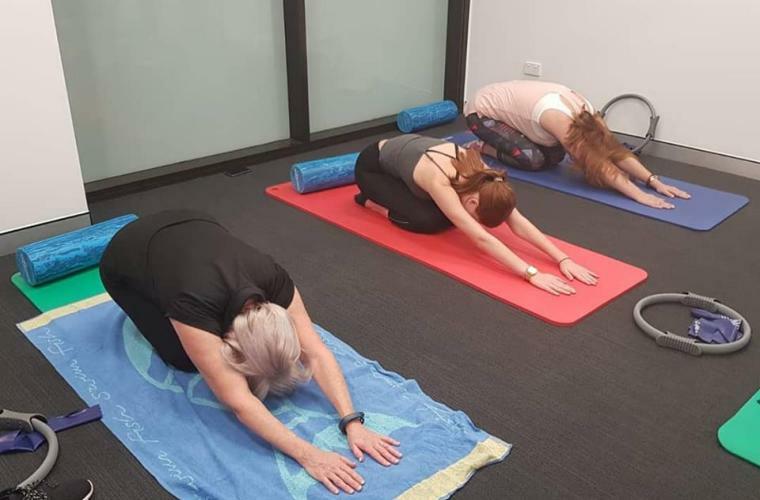 North West Physiotherapy Eatons Hill provide intimate functional core strengthening classes incorporating evidence based pilates exercises with just 3 to 4 participants to give you the attention you deserve! As these classes are led by a qualified physiotherapist and tailored to your individual health needs, rebates will still be available after 1 April 2019, depending on your private health fund and level of cover. To book your spot or to find out more, please call us on 3333 1646. You can also visit our clinic at Eatons Hill Village LG2 (below Woolworths), 640 South Pine Road, Brendale. We asked Ben Dansie, Principal Physiotherapist at our Eatons Hill clinic to tell us a bit more about Pilates, how you will benefit from a class and what our functional core strength classes include. What are functional core strength classes? “Functional core strength classes at North West Physio are led by one of our qualified physiotherapists and incorporate a range of exercises tailored to your health needs and goals. What happens in a physio led Pilates class? I haven’t attended a class before, does it matter if I have no experience? What is a Pilates Assessment? “Our physio’s meet with each participant beforehand at a “Pilates assessment”. In this assessment we introduce you to the physiotherapist running your class and at this time they will determine if you are suitable for Pilates. What benefits will I see from these classes? Can I still claim these classes on my private health fund? To view our current timetable of functional core strengthening classes, click here. To find out more call our team on 3333 1646 or visit our clinic at Eatons Hill Village LG2, 640 South Pine Road, Brendale.